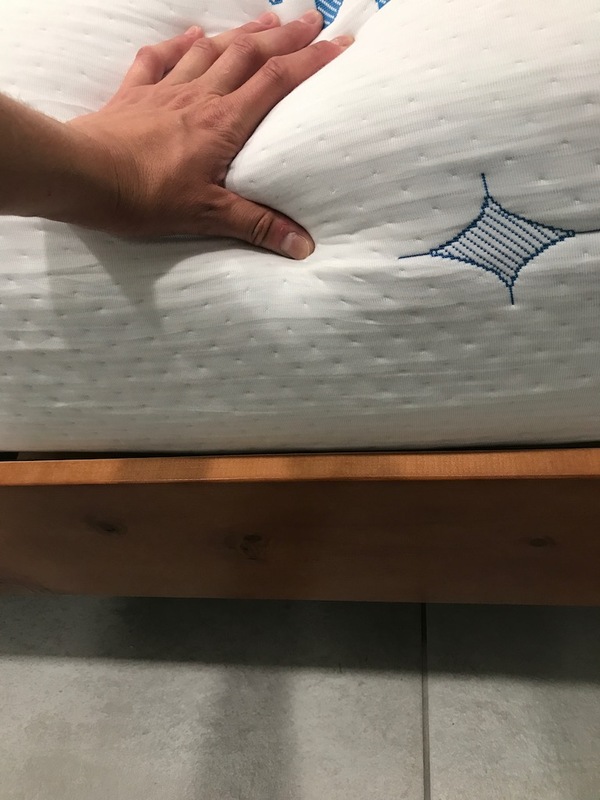 SNUZ Mattress Review was recently completed by the MattressJunkie.com team. SNUZ Mattress is made by Sleep Choices. Sleep Choices uses sleep science to create their line of sleep products. SNUZ Mattress is the first of their line released to the public. A hybrid mattress is also in the works and will be available later on in 2017. Founders Philip Shen and Leo Echeverria have a combined 50 years of industry experience. Our SNUZ Mattress was queen sized. Check out how SNUZ Mattress stacked up in the review process. Tell me more about SNUZ Mattress cover. 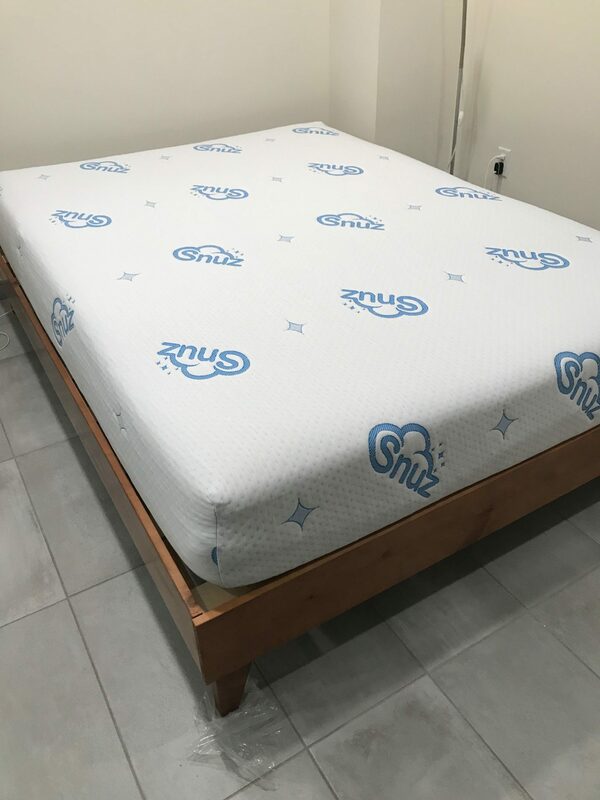 SNUZ Mattress cover is unique and I really liked it. I like when a mattress has some character to it. I wonder why more companies don’t get creative with their cover. 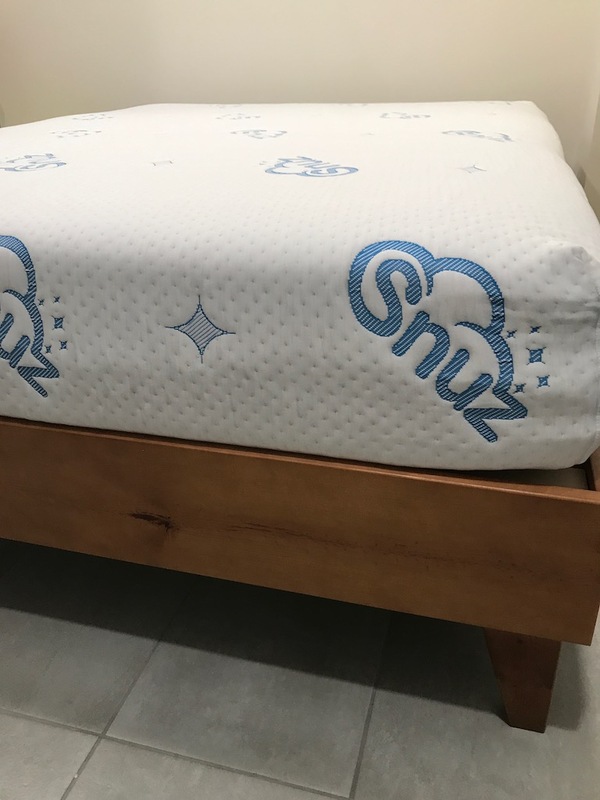 The SNUZ Mattress cover has SNUZ in a nice light blue color. The cover is zippered for easy cleaning and is custom engineered to sleep cool and prevent dust mites. What’s under the SNUZ Mattress cover? 3 layers exist under the SNUZ Mattress cover. The 1st layer is comprised of high density polymer foam that reduces pressure on the shoulder and hip region. The pressure relief also helps prevent tossing and turning so the sleeper will go into a deeper sleep state. 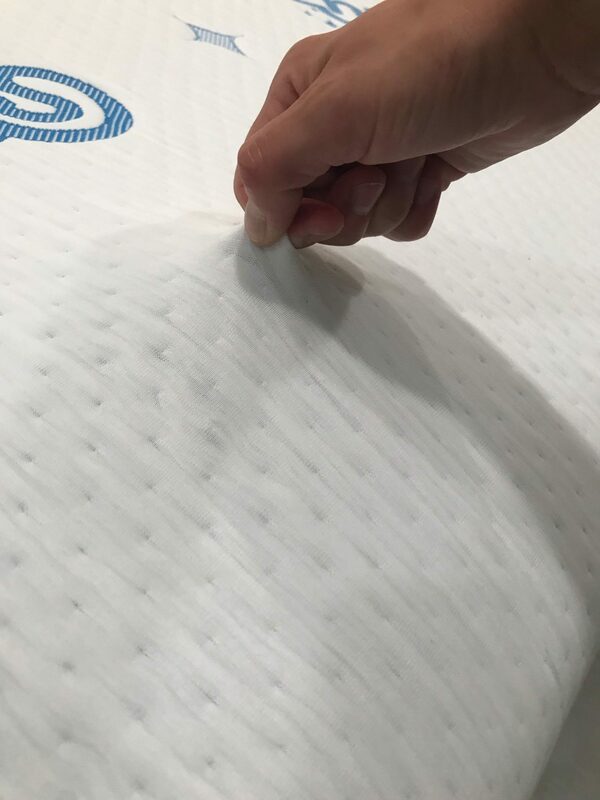 Grooves in the foam add ventilation so heat retention doesn’t develop and air flows freely from the sleeper’s body throughout the sleep session. Layer 2 is made up of charcoal infused memory foam. Charcoal is an all natural odor eliminator that absorbs moisture and provides another layer of comfort. The last layer is the support layer. The support layer serves as the support base for the mattress. The SNUZ Mattress has high density support memory foam as its support base. High density support foam is critical in preserving your mattress over time. What type of sleep style works best for the SNUZ Mattress? SNUZ has a unique 7 zoned configuration that provides sleepers with reduced pressure points in key areas. This allows the SNUZ Mattress to work great with all sleep styles. 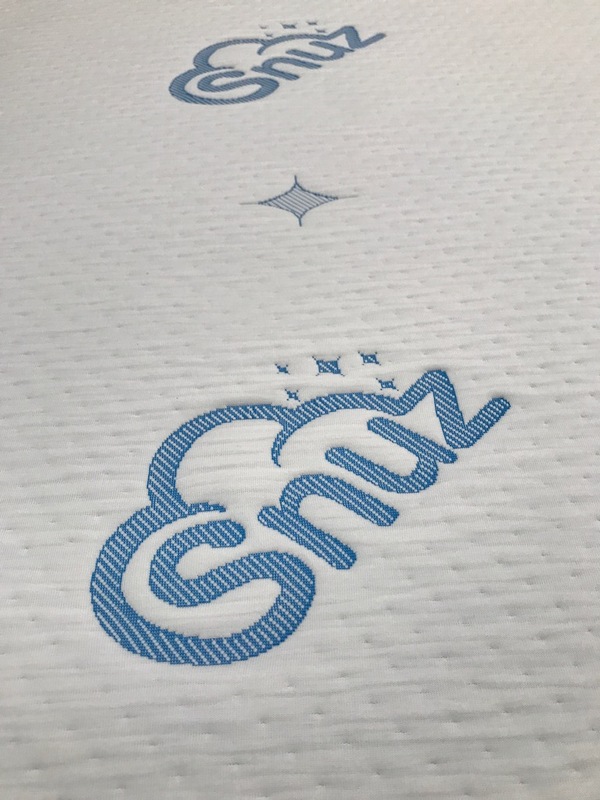 Our SNUZ Mattress was one of the firmer memory foam mattresses we have received so we highly recommend for those wanting a more firm option with less sinkage. 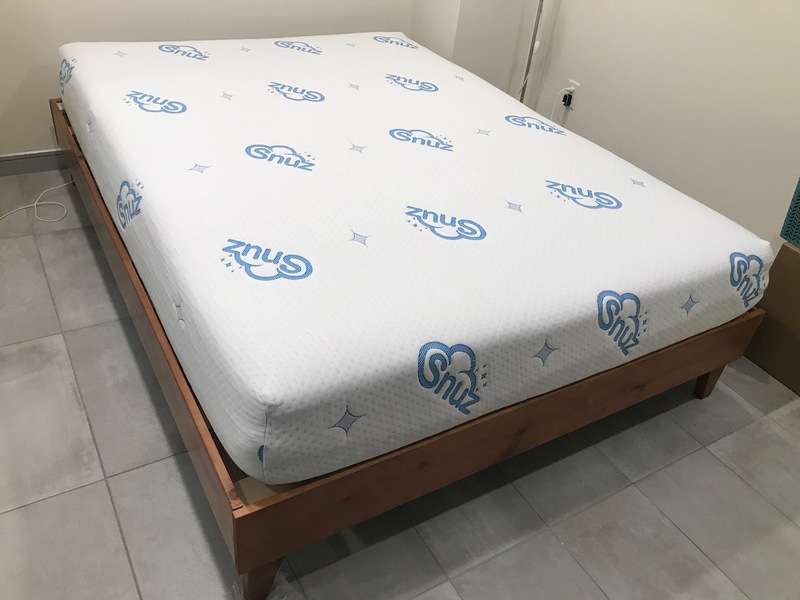 How much does the SNUZ Mattress cost? SNUZ also offers a 6 month financing program through Paypal. What type of warranty does the SNUZ Mattress have? The SNUZ Mattress has a 10 year warranty on their mattress. SNUZ Mattress also offers a 100 night sleep trial where you can get 100% refund on your purchase if you decide it’s not for you. What surface is best for my SNUZ Mattress? We reviewed our mattress on a platform bed. SNUZ Mattress would sleep great on any flat surface like the floor or a box spring. Do we recommend the SNUZ Mattress? The SNUZ Mattress sleeps cool, keeps you comfortable, and is very reasonably priced. So many people are looking for a firmer memory foam mattress and SNUZ would be great for them. The 7 zoned configuration is great for anyone waking up in pain. Learn more about the SNUZ Mattress here….